I'm always looking for new ways to connect our community. I'm super-happy with the new cities popping up daily on our map, but until we can get together in person, I think I can find better ways for us to get together online. The Starship is one way that we come together and support each other, and I've been looking for a more casual opportunity to learn more about you, and let you meet each other. I'd like to invite you to introduce yourself to your fellow explorers. 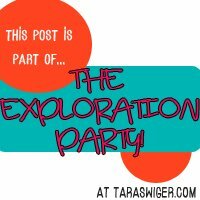 In fact, I'm throwing a party so we can do just that – an Exploration Party! The Exploration Party is an opportunity for you to declare your boldness and connect with other explorers, by sharing a story of what you've explored. 2. Post it anytime next week (August 12-16), and include a link to the Exploration Party page, so that your readers can find other explorer's stories. 3. Leave a comment below with your post! 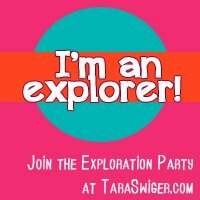 I'll include all the explorer stories on the main Exploration Party page, and I'll share my favorites each day on the blog, Twitter, and Facebook. 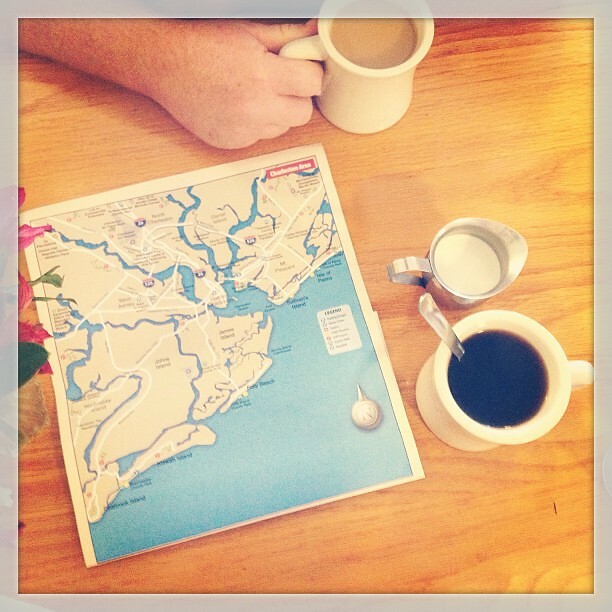 Exploring an area of your business. Remember to make this work for you and your readers. If you never write about the behind-the-scenes part of your business, you don't have to start now! Write about what you usually write about – but share an exploration you've done into your subject matter! You can share your story on Facebook (just set that post to “public”), Flickr, or even Instagram! Just send me a direct link to wherever your story is housed! Remind you that you already are an explorer. You know how to find the answers to your questions. Inspire you to explore deeper, by seeing how other creatives are doing it. And if you find yourself with a particularly thorny issue, or an area of your business you've been avoiding exploring, you can join us for a guided exploration right here. It wouldn't be a party without Party Favors, right? All contributors will get $30 off their Explore You registration! Just share your link, sign up for the class, and I'll refund you $30 right away! Email Vulcan@taraswiger.com for instructions, ideas, or images! If you plan on joining the Party, leave a comment below letting me know! And don't forget to leave your link when you have it! The Party is now over! View the entire party here. You're welcome to continue to write about exploration and tell me about it (I'd LOVE to hear what you're exploring! ), but this page won't be updated again. I’m excited to share an exploration! Thanks for the invitation! I’m joining in and hoping to have my post ready for August 12th! Thanks! I can’t wait to read it! I’m looking forward to sharing my exploration! Hi Tara! I would like to join in! Awesome! Just share a story on your blog (or anywhere) and then come back here and leave the link! Love this! It’s now on the Party Page! I’ve written about my explorations with my art, part II will be next week Tuesday! Not at all! The party goes all week! Thanks, Kimberly! I just grabbed it! And don’t forget your Party Favor – you get $30 of Explore You, if you decide you’d like to join us! I had no intention of writing today, but I saw this (blame Diane!) and it fit well with what I am doing. I am doing a Calendar Project that may seem to be a departure from what I am doing, but I am doing it to expand my horizons and add a skill to make my work better. Now to go read about what everyone else is doing instead of working! Here’s mine! Thanks for the inspiration! Hey Sara! Just checking in about your Exploration Party post? I want to make sure I don’t miss it, so share your link here! I’m joining. My post should be ready tomorrow. “Exploring Story” is about the uses of Story and the potential for personal revitalization from that exploration. “On Exploring the Other Side” is about exploring the commonly-called Shadow Sides and one very important Question to Ask. Finally got it posted! thank you Tara. This was fun!